In “The Inimitable Mademoiselle La Guerre: Violin Sonatas of Elisabeth Jacquet de la Guerre,” Dana Maiben, Longy faculty and violinist, performed with Sarah Cunningham (viola da gamba) and Lisa Goode Crawford (harpsichord) on Saturday afternoon at Pickman Hall. The six sonatas were published in 1707 and dedicated to King Louis XIV, whose court cultivated La Guerre’s extraordinary creative gifts throughout her life (1665-1729). Elisabeth Jacquet came from a family of musicians and instrument builders. 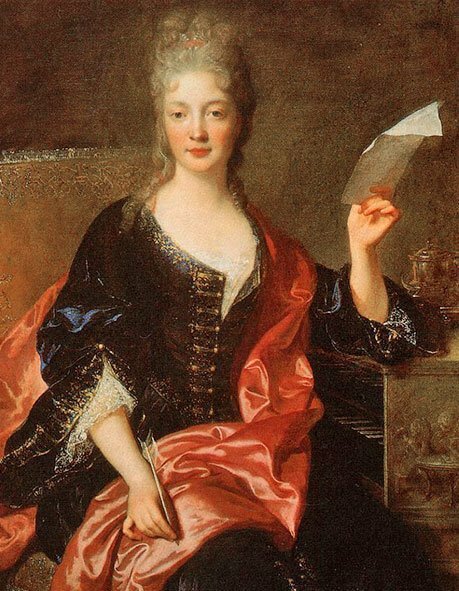 She was celebrated as a child prodigy at Versailles and hailed for her remarkable improvisations, singing, harpsichord virtuosity, and compositions in Paris. Although her two musical brothers went on to work as church music directors, she was excluded from professional employment because she was female, and never received payment for her prolific musical output. However, because she was female and never expected to enter the musical profession, her artistic genius was seen as a novelty and encouraged. Violinist Dana Maiben pointed out in her engaging remarks, that while professional French musicians and composers of the time were expected to strive to be the best at what everyone else was doing, Jacquet was rewarded for her imagination and compositional inventiveness. The six sonatas take the listener through a masterful, luscious soundscape replete with dramatic mood and tempi changes, triumphant prestos, and passionate adagios characteristic of the Italian style. Yet, woven throughout this oeuvre, one hears a consistent, quintessentially French refinement that yields countless moments of exquisite finesse. Sonata I in D Minor, nearly a half hour in length, has eight mellifluous movements that interchange between melancholy and exultation, with D major passages woven within. Sonata II in D Major’s four movements conversely, entwines moments of d minor, cultivating an elegant repast of moods and aural relationships. Sonata III in F’s five movements include an instrumental Aria, and in this, shares a similarity to the first sonata. Indeed, the composer’s Arias are robust, fully-developed pieces that could stand on their own. For her, the Aria is an exploration of variation, often in Rondeau form. The seven-movement Sonata IV in G Major began the second half of the concert. Following this was Sonata V in A Minor, which included a Courante, reportedly Louis XIV’s favorite dance style. Sonata VI in A Major, another seven-movement piece, closed the concert. It included two Arias, while the other previous two sonatas contained just one. The three musicians, seasoned veterans of the early music movement, offered nuanced and sensitive performances these works. Every detail of ensemble cohered with a perfection only found when the musicians have worked together for years. Particularly in the Adagio movements, one was reminded that Jacquet was renowned as an improvisor, and we might imagine her at the keyboard through the brilliant flights of invention that were unleashed. As Maiben observed, Jacquet generally pairs viola da gamba with the harpsichord, creating a duo texture with the violin, but in some instances a real trio texture is achieved, and the three performers brought out these moments with clarity and fluidity, revealing the brilliance of the composer’s work. Sated by remarkably refined yet indulgently sensuous music, the audience gave the trio a standing ovation. The three players’ consummate artistry and musicianship and palpable chemistry impressively delivered throughout a hefty performance of virtuosic works, fit for a king.